Students that participated in the SBS Robotics Society worked every Friday after school for the entire year to prepare for the MATE Underwater Robotics Competition. 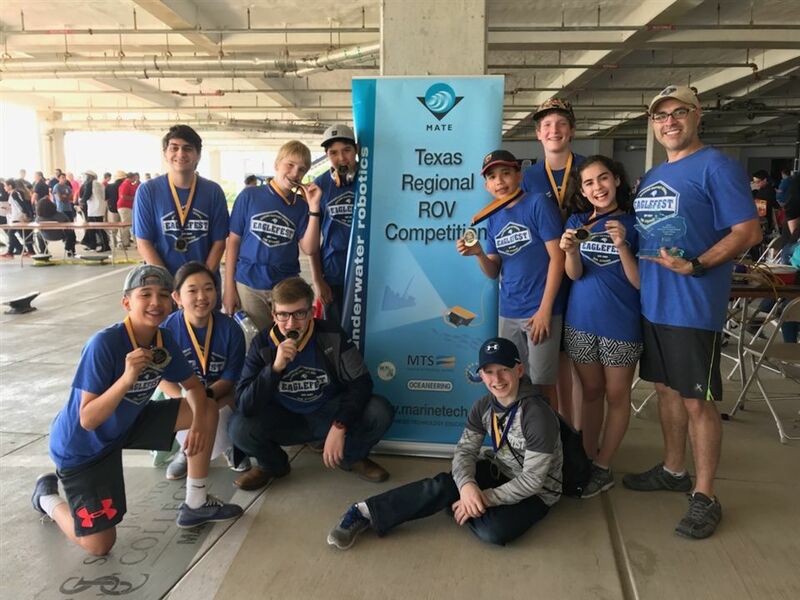 Close to 30 schools came out to compete from across the state of Texas and, with a total of 192 points, SBS Team Sea-vantage brought home first place! Please congratulate our SBS Robotics Team! Click here to view photos from the MATE Underwater Robotics Competition.